The school operates a prefect system in the Sixth Form (Years 12 and 13). 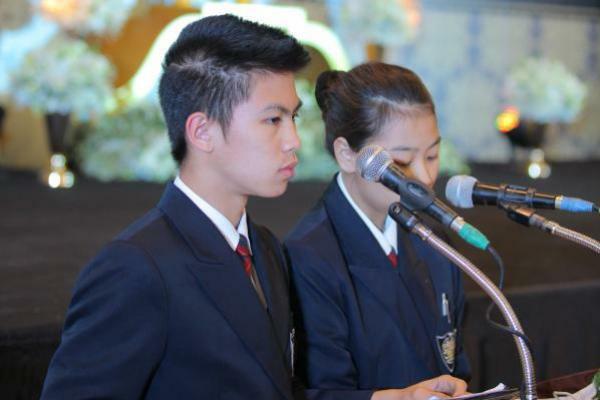 Prefects, led by the Head Students, are senior students in the school who are entrusted with leadership roles. This helps staff to run the school efficiently and gives the students experiences which will help them in their lives after school. Prefects are a traditional feature of English system schools. Our Prefects are chosen from amongst the Year 12 students in January, after they have settled into their A Level courses and into life in the Sixth Form. They then perform the role for a year, until December of Year 13. They are then able to concentrate on their A Level work for their final months in the school.